There will be plenty of misty eyes as Space closes its doors in Playa den Bossa for the last time ever this Sunday (2/10/16) so it’s only right that I should dedicate a blog to this famous venue. The story starts and ‘ends’ with Pepe Rosello. The man behind the myth, one of San Antonio and Ibiza’s favourite son’s who’s history of clubbing included venues in his home town’s West End but whose name will always be synonymous with “the worlds greatest club”. It’s amazing really when you consider that in 1989 he opened Space in the car park of Ibiza’s largest water park in what at the time was the islands premier family resort. Playa den Bossa of 1989 was a whole different world with family hotels, cafes and very few beach bars except those that sold burger and chips to the masses. Space’s stroke of genius was to OPEN at 6am when all other clubs were closing therefore capturing the after hours market. It was also mainly open air giving that fun in the sun vibe that is so popular today. As you can imagine for a venue that opened its doors at 6am there was a distinct atmosphere fuelled by those who refused to go home and go to sleep. The Space terrace soon gained notoriety as the place to be and where to meet the wild and wonderful. Legends were born (and buried). Throughout the 90s Space on Sundays became the party of parties that attracted the great and the good from all over the world and many Sunday afternoon and evening flights were missed as a result of the club that never seemed to stop. The rise of Manumission in the mid 90s saw the Tuesday morning ‘Carry On’ that became infamous as part of the holy grail of Space to DC10 to Manumission then back to Space. 84 hours of pure madness. Without even realising it Space changed the boundaries of a ‘clubbing experience’ and as its reputation grew the awards started to pour in, routinely voted ‘World’s Best Club’ due to its hedonistic mix of Balearic house and an anything goes ambiance and I mean ANYTHING GOES. Before the age of the superstar DJ some young Ibiza talent made their names there. Brandon Block, Alex P, Jason Bye, Jonathan Ulysses to name but a few. Some went on to conquer the world while others disappeared in a haze of self destruction, Ibiza is no place for the weak willed after all. Nothing lasts forever and a radical change of laws in the early 2000’s saw the club sound proofed and a roof put on the infamous terrace – home to a thousand parties. Most importantly the club couldn’t open before 4pm taking away the ‘afters’ trade, the unique selling point that made it’s name in the first place. For some Space would never be the same again but it quickly reinvented itself from a quirky specialist venue to a fully functional Ibiza Super Club with 5 separate rooms not counting the car park on opening and closing weekends (the official start and end of the summer). Space on Sunday still soldiered on causing casualties on a weekly basis and Carl Cox came onboard and became the face of the most famous club in the world. Cox’s close relationship with Pepe Rosello forged something special that rose above the other venues and CC’s Tuesday night became another pioneer starting in the evening rather than the early hours like other clubs. 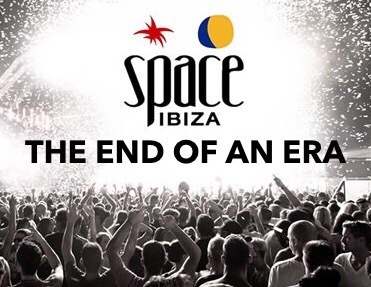 After years of rumours it was left to the big man himself to reveal to the world that 2016 would be Space Ibiza’s 27th and final year after its lease on the building expired and wouldn’t be renewed. Pepe Rosello stayed in the background as usual thanking everybody for the good (and bad) times. Space Ibiza is now a global brand but the Bossa club will be no more. The bricks and mortar will still be there but the venue will change back to its actual owners, the Matutes Group, who own Ushuaia and the Hard Rock Hotel amongst many other things. They plan to carry on using the venue as a club and will open in 2017. Plans have yet to be finalised but it makes sense for them to use it as somewhere to funnel the post Ushuaia crowd into. 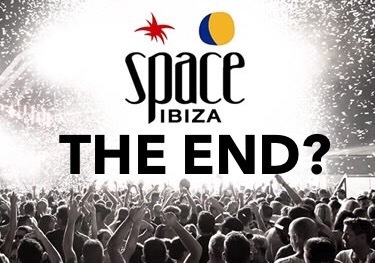 For some the closing of Space is a watershed moment whilst others like the ‘new’ Ibiza with all its glitterati and VIP’s. Like everything times move on and the island has changed drastically from those legendary mornings on the Space terrace sitting on wooden chairs in the open air surrounded by all your mates (old and new), drinking cold beer and jagermeister while listening to incredible tunes from Peezee, Blocko and their entourage. If you don’t embrace the change then you become the bitter and twisted person in the corner constantly reminding people that Ibiza “isn’t what it used to be” and that they “missed out on the best years” and you don’t want to become that person. Whether we like it or not Ibiza has evolved into a global brand that immediately conjures up images of natural beauty, world class clubbing and hedonistic pursuits and right at the forefront of that is Space. Whether or not the club carries on in another venue it’s history has already been written and its legacy is assured and more importantly Pepe Rosello will be remembered not just as a pioneer but also as a very decent man. Author Martin MakepeacePosted on September 29, 2016 October 2, 2016 Categories Local News5 Comments on Space Ibiza: The End? News that Ibiza Rocks Hotel has had its concert licence temporarily suspended* has once again highlighted the ongoing battle in San Antonio of residents versus tourists. Residents are now no longer willing to accept the 4 month compromise that seasonal tourism brings to any resort but especially to San Antonio where residents and tourists are so closely intertwined. So far the new left wing local government has come down firmly on the side of residents (as they said they would in their election promises), after all it’s residents who vote not tourists. What’s fueling this sea of change is social media or namely Facebook. It used to be the cafes and bars where people would get together and gripe however now anyone with a score to settle, an internet connection and an appetite for a fight can make waves that will reverberate all the way up to the Mayors office. There’s several pages on Facebook where vocal San An residents can take their complaints, harness support from ‘friends’ and trolls alike and believe that this gives them a mandate to act. 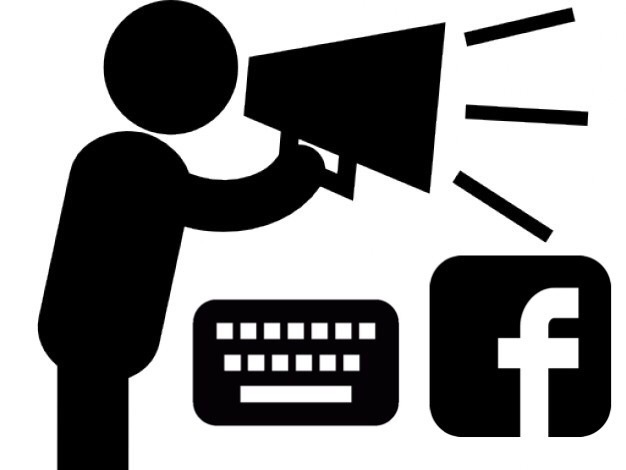 San Antonio councillors have openly admitted that they keep an eye on Facebook to see what local people are talking about and many of them take their political and heartfelt messages to the masses via their social media homepage rather than in a press conference. ‘Reinicia’, San Antonio’s 3rd largest political party, who have 4 seats in the council chambers was almost entirely born out of a Facebook protest group that snowballed leading to Pablo Valdes becoming Deputy Mayor in June 2015. On closer inspection though you see the same names over and over again on the Facebook pages and it becomes apparent that rather than a broad cross section the dialogue is only between a handful of self interested parties. You get the same people ‘debating’ so in a town of 16000 voters you have less than 1% of the voting population trying to steer the ship into areas that affect everyone. These figures might be OK for an industrial city in the north of Spain but in an island town that relies 99.99% on tourism it’s a dangerous situation with so few people calling the shots and riding roughshod over the rest of the local population who are too mild or computer illiterate to get involved. Rather than take a sensible approach it seems that ‘he who shouts loudest’ in San Antonio now gets the quickest response which is ironic really given that noise seems to be the main issue. *Ibiza Rocks Hotel situation is only temporary until a few issues are resolved. An IRH Spokesperson said that it will be business as usual for next summer. San Antonio Town Hall has temporarily suspended musical activity at the Ibiza Rocks Hotel located within the town centre for not complying with local noise bylaws. The Council reported yesterday that an acoustic study conducted on 24 July revealed that concert venue does not meet the conditions for regulating noise and vibration. 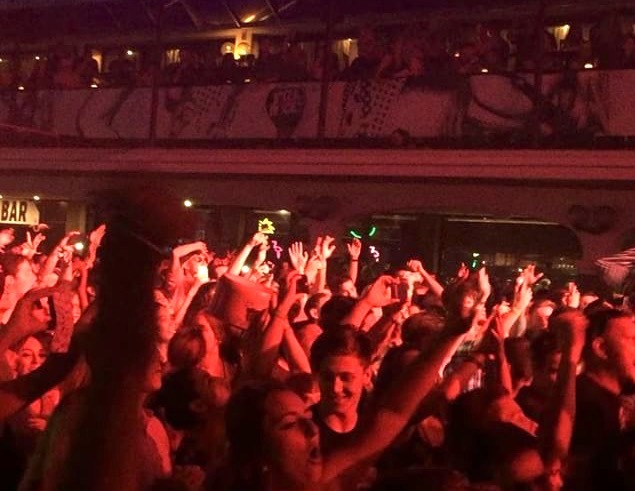 The report also stated that since moving the stage an emergency exit has also been blocked. A spokesman for Ibiza Rocks confirmed the temporary suspension but also said they are working hard to rectify the problems and are looking forward to business as usual in 2017. 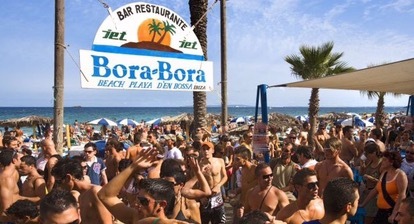 Ibiza’s crackdown on open air parties has continued with Playa den Bossa’s famous Bora Bora beach establishment being ordered to stop using its terrace as a nightclub by San Jose Town Hall. Councillor Paquito Ribas reported that the local police made “a routine inspection of all premises in Playa den Bossa” in which agents found that Bora Bora in particular worked as a nightclub in the beach restaurant area (no sh*t Sherlock). Once the City Council received the police report, it was decided to adopt “a precautionary measure to suspend the disco activity in the open area” said the councilor although she did acknowledge that the interior of Bora Bora has a nightclub licence but the terrace only has permission to operate as a restaurant. “We are working so that everything is done according to the law (in the town of Sant Josep) and we have no preference for anyone, we just want things done right and that the municipality works” said Sra Ribas. This is the just latest crackdown by Ibiza authorities although the timing of this is a little curious seeing as it only 2 weeks before the big closing party at Space and the summer season almost over. 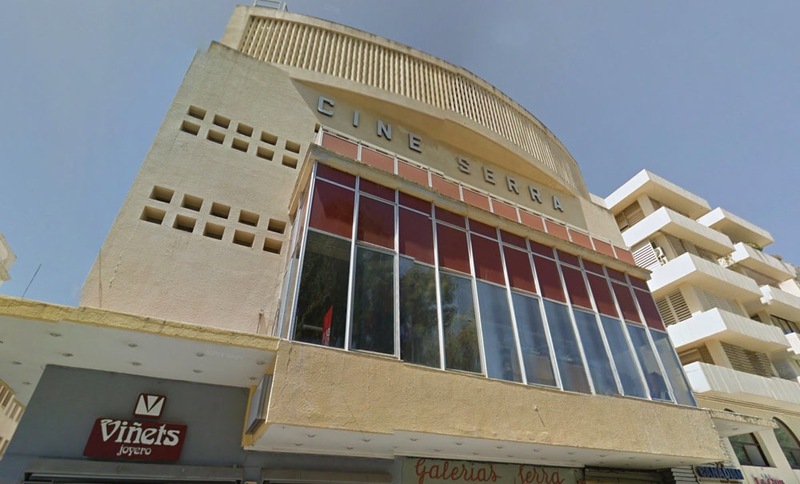 Ibiza’s relentless surge towards ‘luxury’ and high end pricing shows no sign of stopping as Ibiza Town council has finally granted the license to demolish the famous cinema house ‘Cine Serra’ on Vara de Rey and build a new 5 star hotel with 50-60 rooms. The future hotel project has undergone several modifications with town planners who insisted on certain aesthetic requirements for windows and a guaranteed amount of parking. It’s another move towards a more selective Ibiza which some will welcome while others will not. Ibiza has seen a seismic shift towards luxury hotels, the neighbouring Montesol Hotel opened recently as a 5 star and several new other luxury projects, such as those in Talamanca and Marina Botafoch, are due for completion in 2017. 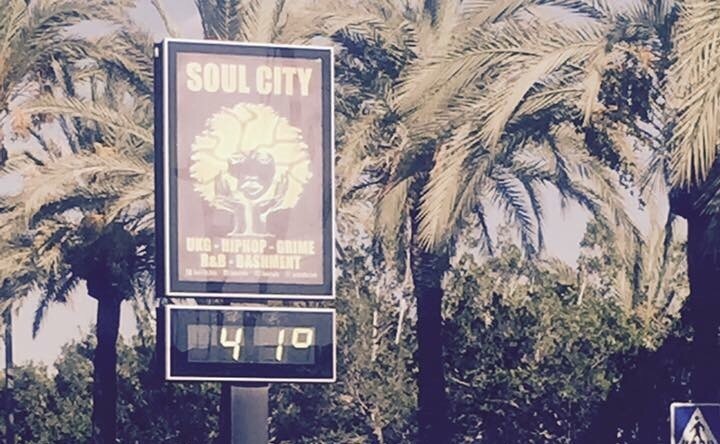 As anyone who follows me on social media will know, I am somewhat besotted with the Ibiza weather. Therefore it gives me great pleasure to report that yesterday’s (5 Sep 2016) temperature of 38.4 degrees Celsius was officially the hottest ever recorded for September in Ibiza since records began in 1961. 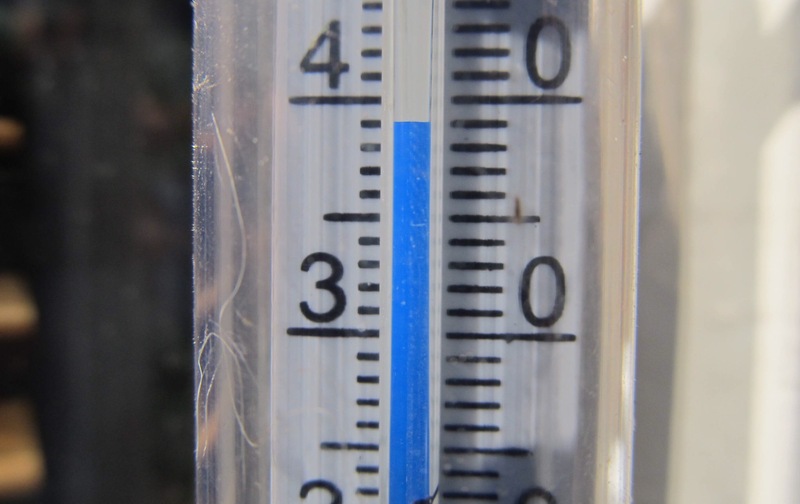 This follows what was a relatively ‘cool’ August on the White Isle with average temperatures 1 degree lower than usual due to air currents and occasional summer storms dropping many litres of water and causing steep drops in temperatures. The State Meteorological Agency (AEMET) has also forecast a ‘very dry’ September although it’s not ruling out isolated storms. The next 10 days will see the mercury hover around the 30 degree mark although the agency said that no yellow alerts are expected. This is great news for the island that is already experiencing a very busy summer. The hot end to the holiday season will encourage people to fly over. As the closing parties start to loom large many agencies already reporting unprecedented demand for Late September and October.